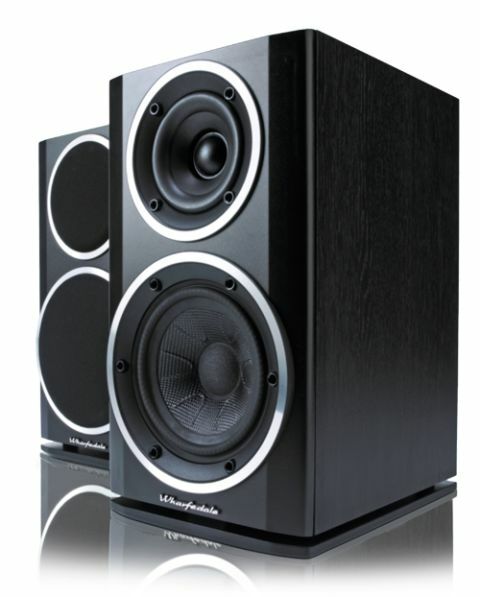 Wharfedale Diamond 121 review | What Hi-Fi? Consistency has been a problem: generations five through seven weren’t great. Since then, though, every new version has hit the mark. None more so than the 11th generation Wharfedale Diamond 121 we have here. For marketing reasons the company has decided to call this generation the 100 series, but the Diamond 11 is really what it is. All the 100 series products – two standmounters, four floorstanders and a pair of centre speakers – share a common DNA, and this starter model, the Diamond 121, is a good representation of the range. The drive units are all new. The 13cm woven Kevlar mid/bass features a new cone profile with ridged patterns to help control behaviour, and a blended dust cap to improve smoothness at the crossover. The tweeter is surrounded by a deeply dished waveguide, which helps efficiency, particularly through the crossover region. While it’s tempting to think Wharfedale has taken the cheap option by returning to a conventionally rectangular cabinet (from the curved enclosures of the previous generation), the truth is a little more complicated. Yes, rectangular boxes are cheaper to make, but the cost savings have allowed the engineers to be more ambitious with drive units and cabinet construction. The cabinet uses composite wooden panels to help damp resonances and prevent sound transmission through the enclosure walls, so you hear more of the drive units and less of the box. The 121 also features what Wharfedale calls a ‘slot-loaded distributed port’. It’s an attempt to get deeper, more extended bass from a compact design, and to make the speakers less fussy about placement. It’s elaborate engineering for a product at this price. Instead of going down the usual route of a rear or front-firing reflex port, they've decided to fire the port downwards into a small gap between the base of the cabinet and the plinth below. Not only does this technique help with port efficiency and the reduction of chuffing noise, it also makes the speaker less fussy about positioning in your listening room. Judging by the low frequency output of the 121s, this arrangement seems to work really well. It's just a shame that the plinth felt a little insubstantial on our review model. The 121s’ predecessor, the 10.1s, were sold at £150, so it comes as a surprise to find the 121s at £230. Manufacturing costs are rising all the time, but that’s quite a hike, particularly when classy alternatives such as Monitor Audio’s Bronze BX2 are £20 more. Still, that price wouldn’t be a problem if performance and build were top-class. While the 121s are sturdy, some aspects of the finish struggle, especially the paint finish and vinyl wrap, which hasn’t been applied neatly enough. It’s annoying because, when it comes to sound quality, the 121s need fear no rival. Give these Wharfedales a sturdy pair of stands and use them relatively close to a rear wall, and you’ll get a terrific sound. There’s a sense of scale and authority that belies the speaker’s compact dimensions. Much of the credit goes to the way they produce bass – low frequencies are solid, agile and tuneful, and have good reach. It seems that distributed-port idea works. If the bass is good we’re even more impressed with the terrifically articulate and beautifully projected midrange. Treble is nicely judged too. There’s plenty of sparkle but enough refinement to ensure the 121s behave well enough with aggressive recordings and bright partnering equipment. Put it all together and you have a pair of budget boxes that truly satisfy. They’re happy to charge along to The White Stripes, making the most of the music’s energy while refusing to make a meal of the low-fi nature of the recordings. Equally, give them something wonderfully produced such as Johnny Cash’s Solitary Man and they’ll enthral with Cash’s rich, textured vocals and the track’s wonderfully sparse instrumentation. While these speakers aren’t particularly fussy about partnering kit, sounding as happy with Onkyo’s energetic A9030 as they do with Rotel’s RA-10, it was Rega’s exceptional Brio-R that got the most out of them. This is a terrific combination for small to medium rooms, delivering a breadth of insight, expression and rhythmic precision we don’t think can bettered for the money. The Diamond 121s are brilliant performers. If Wharfedale takes a little more care in building them, rivals will really have a serious problem.